Join me in a traditional Madrileno experience, "la hora de vermouth." During this tour I will take you to some of my favorites sites in the Malasaña neighborhood and point out some of the district's most representative history and culture. Along the way we will also stop by at some of my favorite taverns to taste vermouth, a delicious and refreshing drink made of fortified wine. In my opinion nothing goes better than a glass of vermouth than a few snacks, like peanuts, olives and gildas. My favorite, however, is by far the fluffy tortilla, a classic dish in Madrid. I'll take you to the place serving the best version of this dish in the city and explain how to make it so you can try it at home. After meeting at Metro Tribunal we will explore the Malasaña distict, stopping at emblematic monuments and at popular taverns to try vermouth and tortilla. 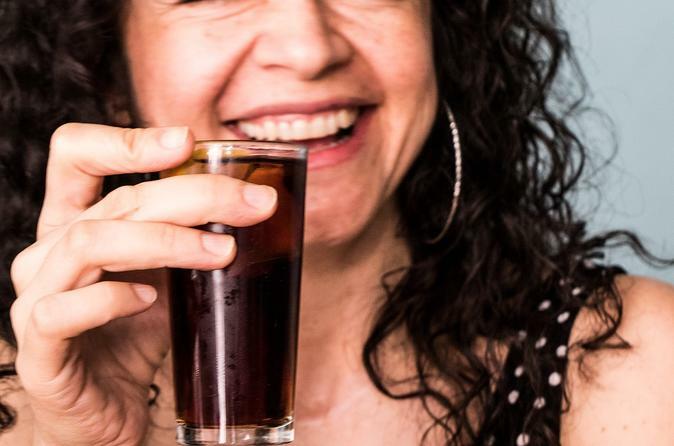 One of my personal favorite traditions in Madrid is "la hora del vermouth," when friends gather before lunchtime to share together a moment of laughter and fun with some vermouth and light snacks. On this tour I will share with you this fabulous tradition. We will explore one of the most beautiful neighborhoods of Madrid and then visit a few taverns to have a refreshing glass of vermouth along with some tasty snacks. I will also take you to my favorite place in the city to try tortilla, a delicious dish known as the Spanish omelet. I guarantee it will be one of the highlights of your trip to the Spanish capital.